Illegal file-sharers are the scourge of Hollywood, but while the movie studios curse torrent sites, Netflix is using them to its advantage as part of its acquisition strategy. In a recent interview with Dutch site Tweakers, the video on demand service admitted the pirate community is an important metric when deciding which shows to acquire for its streaming platform. If a show performs well in torrent charts, Netflix employs the logic that if users will go to the hassle of breaking the law and dealing with files, they'll definitely watch if it can be viewed in just a couple of clicks. "With the purchase of series, we look at what does well on piracy sites," said Vice President of Content Acquisition, Kelly Merryman. "Prison Break is exceptionally popular on piracy sites." 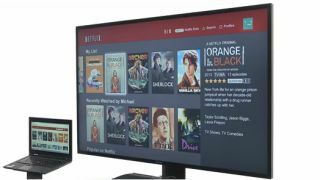 Merryman's comments, which came as Netflix expanded to The Netherlands, echo similar sentiments from the company's CEO Reed Hastings. "Certainly there's some torrenting that goes on, and that's true around the world, but some of that just creates the demand. Netflix is so much easier than torrenting. You don't have to deal with files, you don't have to download them and move them around. You just click and watch," he told the same site. Of course not all of the shows popular on Torrent sites are available to Netflix. HBO shows like Boardwalk Empire, Game of Thrones and The Newsroom are off limits, as the U.S. cable network isn't too keen on affording the rights beyond its own empire.